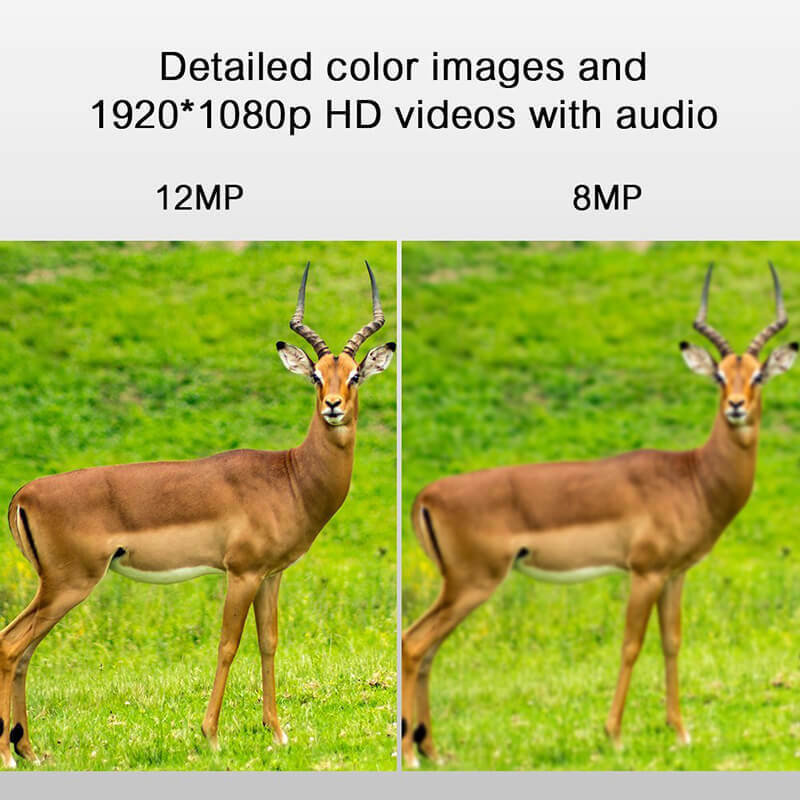 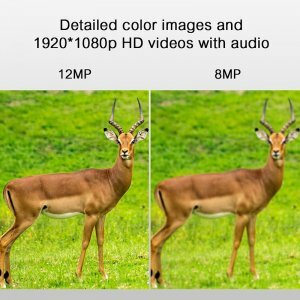 The 12 MP CMOS sensor and 120-degree wide angle lens capture high definitions images and video across a wide angle of view. 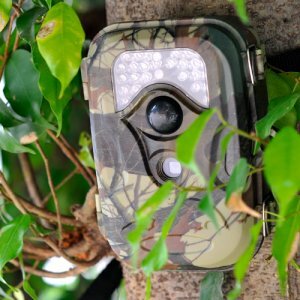 With an adjustable PIR sensor, you can set up this game camera to pick out and record the animals you want that come into the cameras field of view. 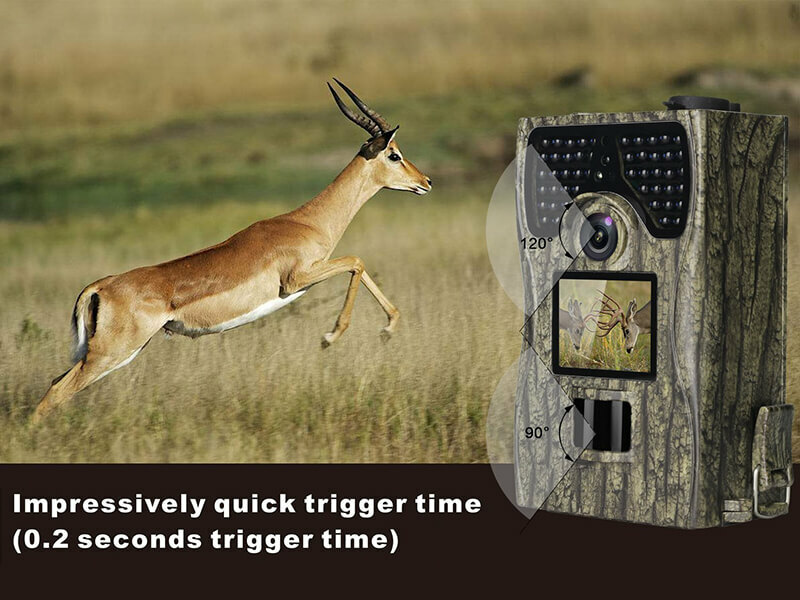 There are plenty of options to choose from when it comes to recording as you can choose between photo, video, photo & video, burst and time-lapse modes. 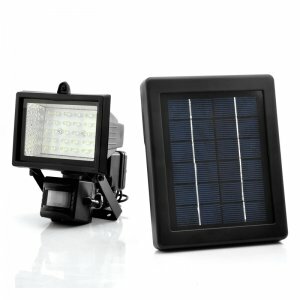 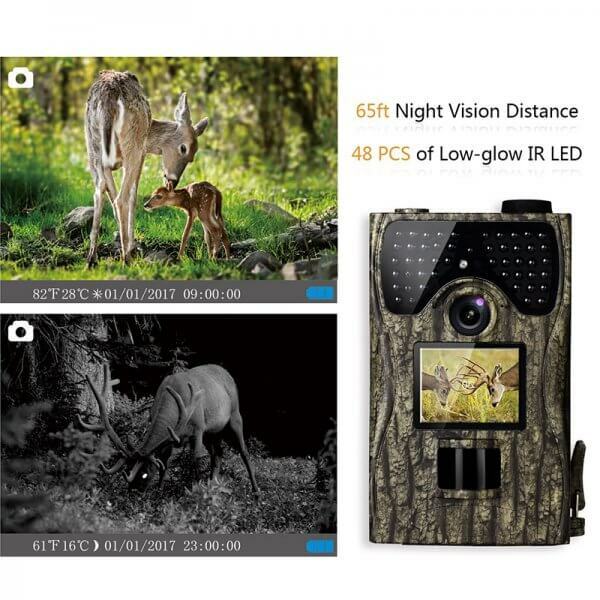 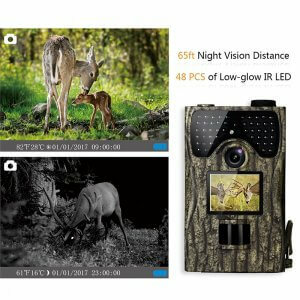 Having 48 IR LEDs allows this trail camera to record quality footage night or day. 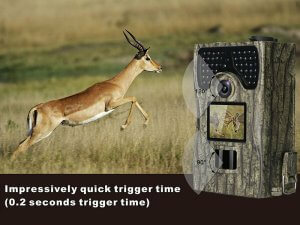 So no matter the hour or light you will always get quality recordings. With password protection, you can secure any images and video recordings so only you can access and play them back. 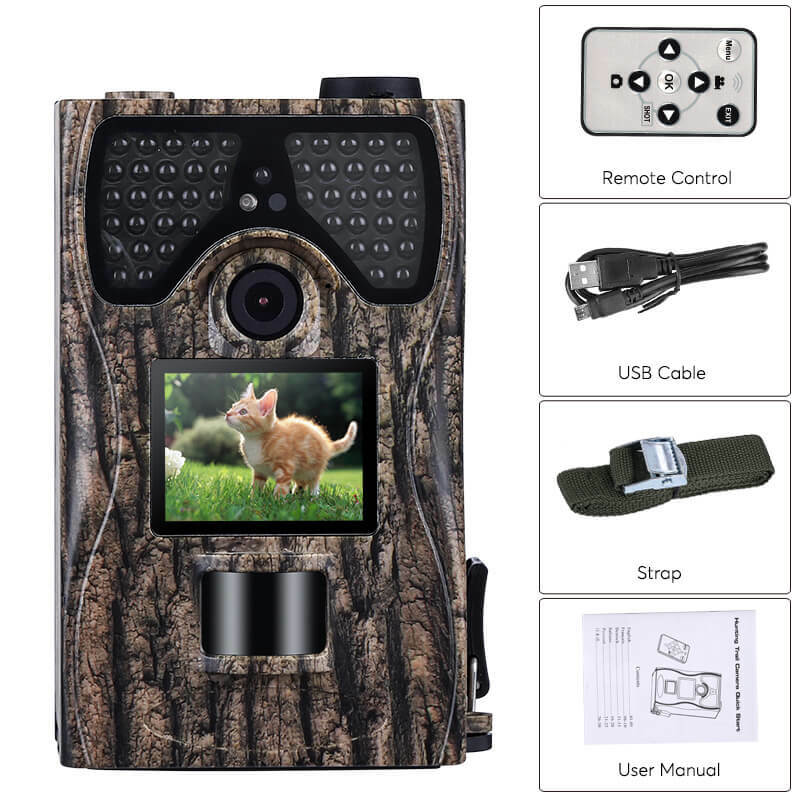 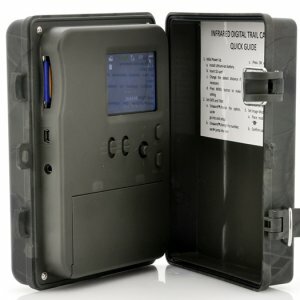 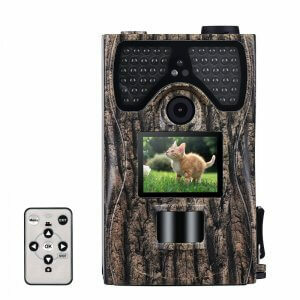 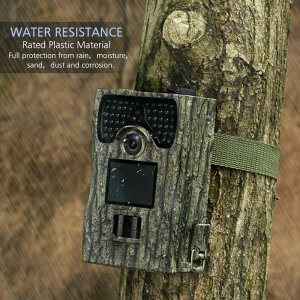 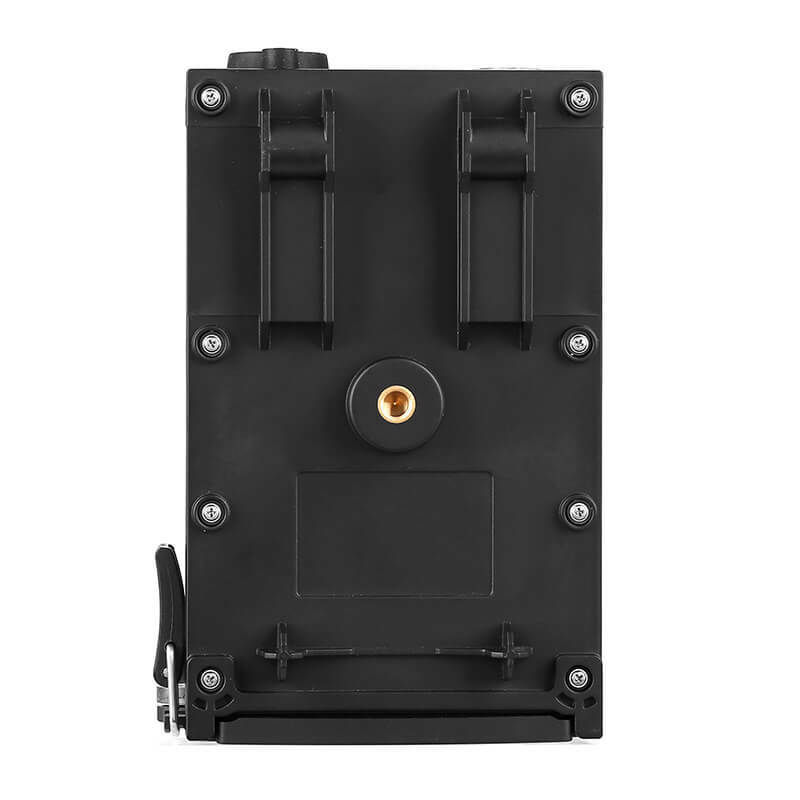 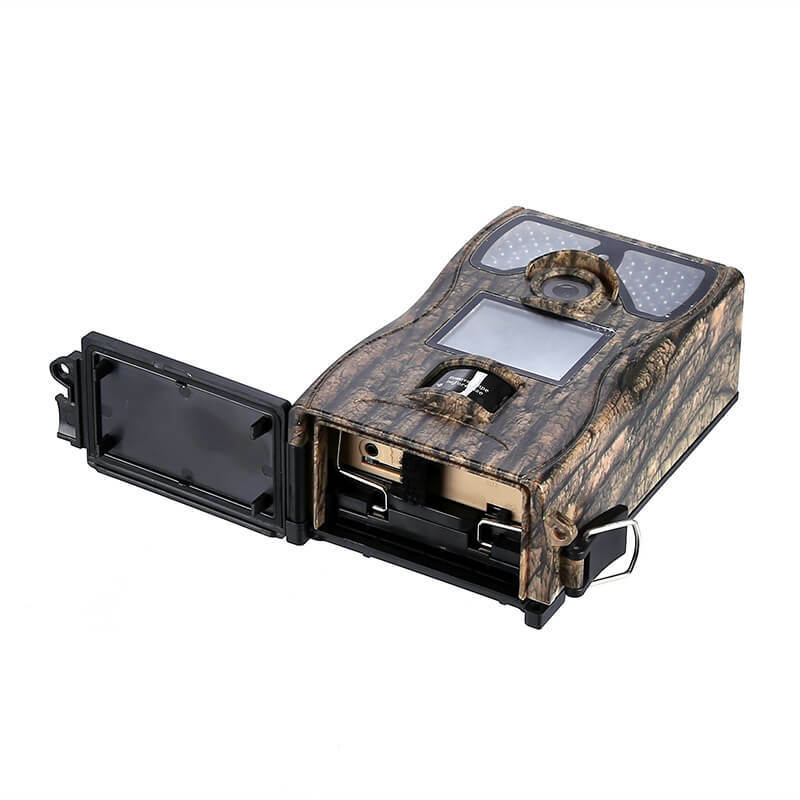 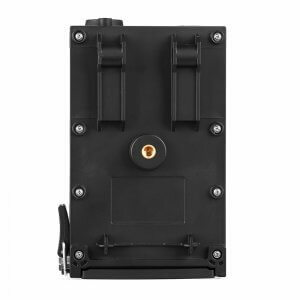 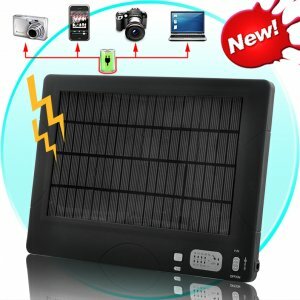 With a TV output and PC interface, you can connect this trail camera to a portable monitor to review all the footage, this makes it easy view the video and pictures in the field without having to remove or disturb the trail camera. Running on AA batteries this game camera can last for about 8 months in stand by so you can get hours of surveillance and track the comings and goings of wildlife over an extended period. 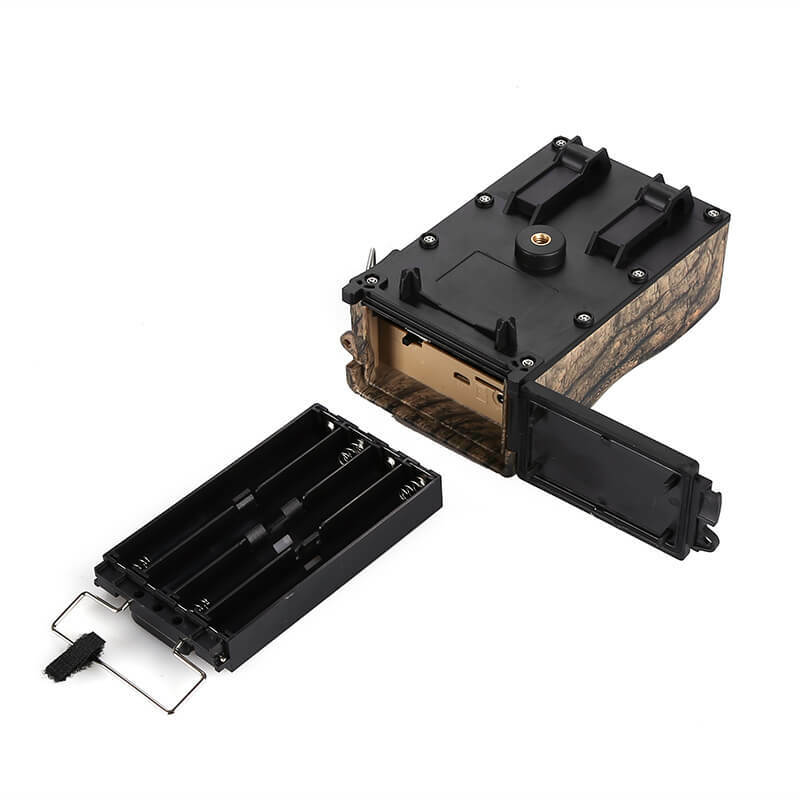 Added to that the 32GB micro SD card support and you will have plenty of storage to keep all your pictures and recordings on. 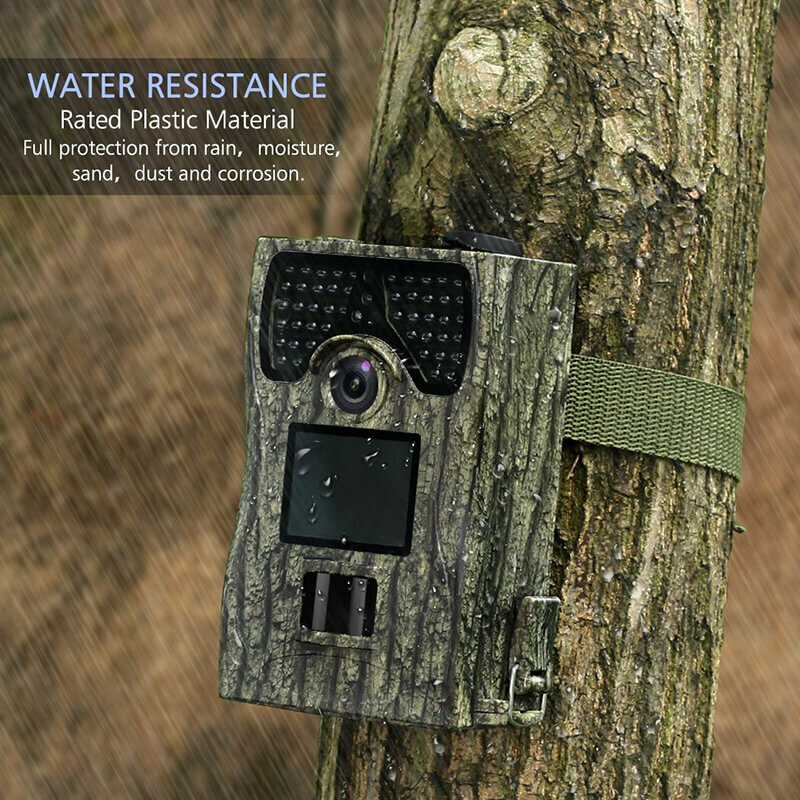 An IP55 water-proof and dust-proof rating bring protection from rain, moisture, sand, and dirt so it can withstand all the elements and keep recording all year round no matter the weather or climate.